Ram Charan and Krishnavamsi’s film first look stills have been released by the makers on the eve of Mega Power Star Birthday on March 27. 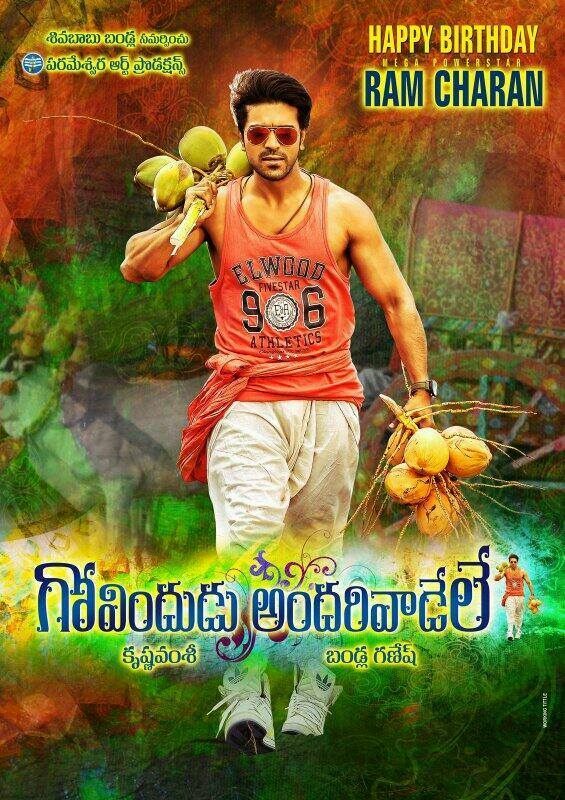 The stills with Ram Charan in a traditional Dhoti style sporting a pony tail are getting good response. Kajal Agarwal is the leading lady in the movie and Srikanth, Kamalinee Mukherjee and Tamil actor Raj Kiran plays prominent roles. Ram Charan plays the role of NRI who visits India. Govindudu Andhari Vadele is the title under consideration for the movie. Bandla Ganesh is producing the family entertainer under the banner of Parameswara Arts production. Music is by Thaman and cinematography is by Sameer Reddy.